In the haunting tradition of In Cold Blood and The Executioner's Song, this remarkably insightful and surprisingly intimate portrait of Saddam Hussein lifts away the top layer of a dictator's evil and finds complexity beneath as it invites us to take a journey with twelve young American soldiers in the summer of 2006. Trained to aggressively confront the enemy in combat, the men learn, shortly after being deployed to Iraq, that fate has assigned them a different role. It becomes their job to guard the country's notorious leader in the months leading to his execution. Living alongside, and caring for, their "high value detainee" in a former palace dubbed The Rock and regularly transporting him to his raucous trial, many of the men begin questioning some of their most basic assumptions - about the judicial process, Saddam's character, and the morality of modern war. Although the young soldiers' increasingly intimate conversations with the once-feared dictator never lead them to doubt his responsibility for unspeakable crimes, the men do discover surprising new layers to his psyche that run counter to the media's portrayal of him. Woven from first-hand accounts provided by many of the American guards, government officials, interrogators, scholars, spies, lawyers, family members, and victims, The Prisoner in His Palace shows two Saddams coexisting in one person: the defiant tyrant who uses torture and murder as tools, and a shrewd but contemplative prisoner who exhibits surprising affection, dignity, and courage in the face of looming death. In this artfully constructed narrative, Saddam, the "man without a conscience," gets many of those around him to examine theirs. Wonderfully thought-provoking, The Prisoner in His Palace reveals what it is like to discover in one's ruthless enemy a man, and then deliver him to the gallows. 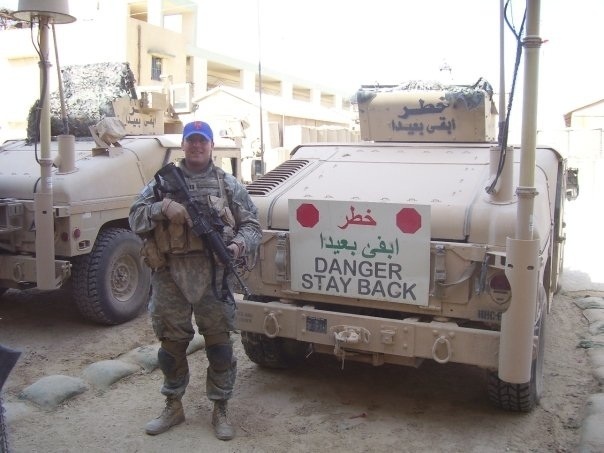 Will quit his job in finance following the 9/11 attacks in Manhattan and volunteered to serve in the United States Army. He has spent most of the last decade engaged in United States foreign policy, beginning in 2004 as an infantry platoon leader. After completing his Army service, Will worked in the Washington Bureau of The New York Times, and later as a Director of Good Harbor Consulting, where served as a strategic advisor embedded with an Emirati paramilitary organization in Abu Dhabi. In 2010, Will received a Master's Degree from The Johns Hopkins University School of Advanced International Studies. Upon graduation, he was selected to join the Pentagon in 2010 as a Presidential Management Fellow, where he spent the next four years working on the development and implementation of defense strategy in the Office of the Secretary of Defense. Will was an Airborne Ranger qualified infantry officer in the United States Army. He was stationed in Germany and his service included a 13-month deployment to Nineveh and Anbar Provinces, Iraq in 2006-7. While in Iraq, he helped lead his infantry battalion's reconstruction, civil affairs and tribal engagement efforts in the city of Hit. His unit helped contribute to the beginning of what would later become known as the "Anbar Awakening." Will was awarded a Bronze Star and a Combat Infantryman's Badge. Will is a graduate of Princeton University, where he majored in English. He has had Op Eds and other articles published in the New York Times and Washington Post. In his free time, Will enjoys tough Crossfit workouts, playing ice hockey, and rooting for the New York Mets and Washington Capitals. Will lives in Colorado with his wife, Marcy, and editorial assistant, Parker the Cat.